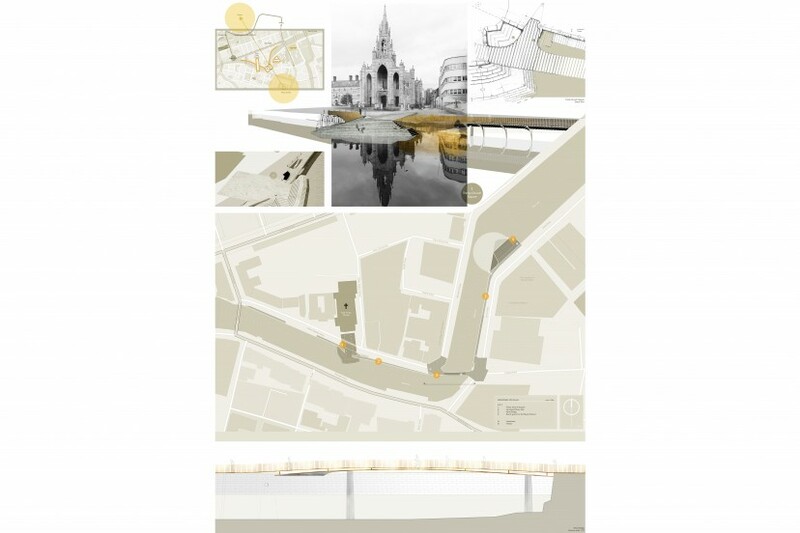 The competition was launched to generate ideas for a central district of Cork in response to debate over flood control provisions. 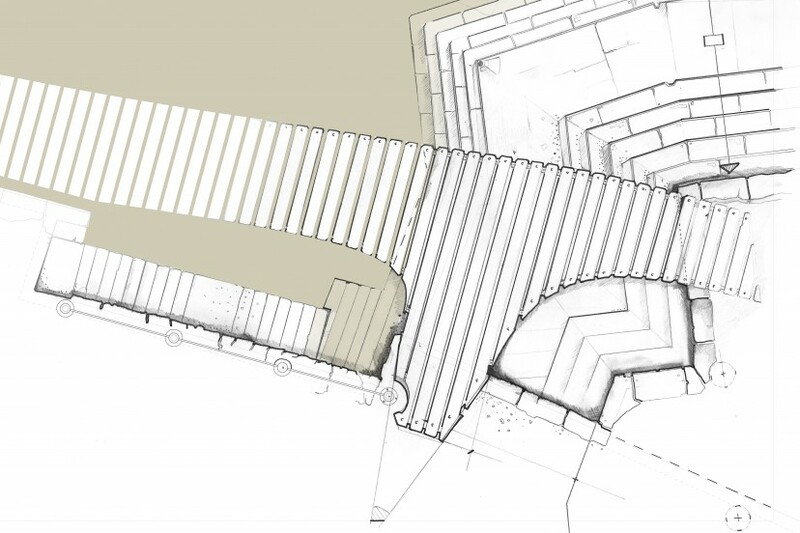 How could the historic quays be restored and reinvented in light of rising river levels to establish a new relationship. 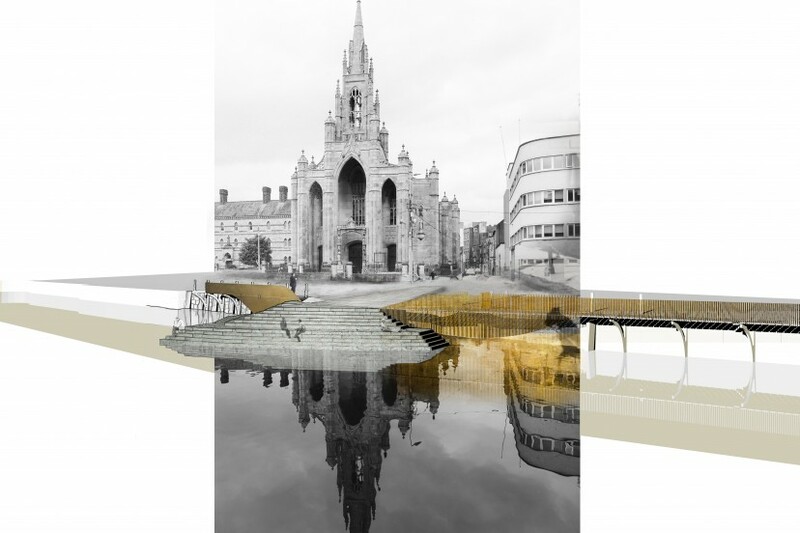 Our design proposal responds to the site specific opportunities that Father Mathew Quay and Morrison’s Quay afford to this location in the city. 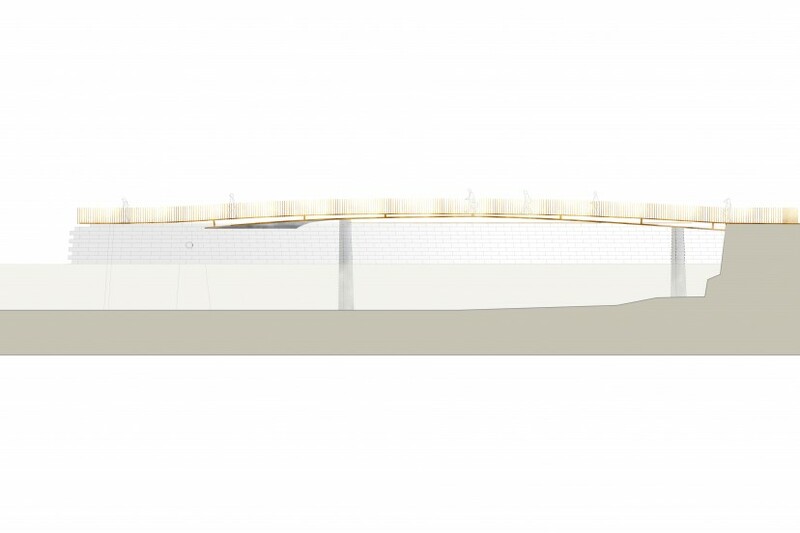 We are proposing a series of ‘events’ – an urban square, a boardwalk, a bridge, a pontoon – arranged along the waterfront creating new destination points for the city. 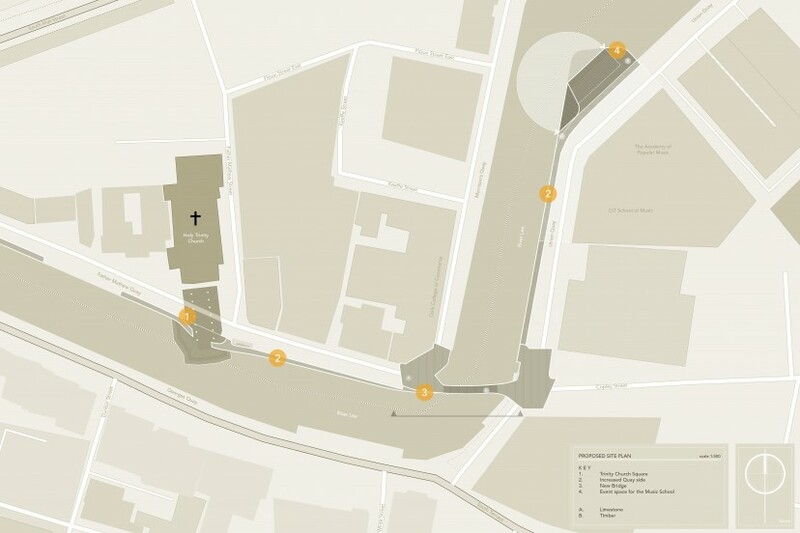 The anticipated increased pedestrian use of the quayside will result in rediscovered routes from the city to the riverbanks being explored.